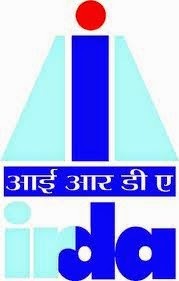 Accepting the request of International Finance Corporation (IFC), Indian insurance regulator, the Insurance Regulatory and Development Authority (IRDA), on Wednesday, allowed Indian insurers to invest in onshore rupee bonds issued by IFC and Asian Development Bank (ADB). The International Finance Corporation , World Bank's financing arm for the private sector, said that it would raise $2.50 billion (about Rs.15,000 crore) from rupee-denominated bonds to support infrastructure development in India. IFC Executive Vice President and CEO Jin-Yong Cai said, “The IFC will use a combination of rupee-denominated bonds and swaps to raise local-currency financing of up to Rs.15,000 crore over the next five years." “It will also create a new momentum in the development of corporate bond market and long-term bond market. It will create a yield curve which can then be followed by others", Economic Affairs Secretary Mr. Arvind Mayaram said at the time of launching the scheme. The central government has allowed onshore rupee bonds issued by multilateral agencies like ADB and IFC to be classified as securities under the Securities Contracts (Regulation) Act. Following this, the insurance watchdog too classified such bonds as approved investments for the Indian insurance cos. According to the insurance regulator, the public issue onshore rupee bonds by ADB or IFC should be approved by Securities and Exchange Board of India (SEBI) and be subject to the rating criteria as per its investment regulations. However, if SEBI exempts rating of the bonds by the credit rating agencies registered with it owing to the rating received from international rating agencies then it will be considered as approved investments, the insurance regulator said. The valuation of these bonds will be similar to other corporate bonds and debentures, IRDA said.